Ukrainian authorities are planning to build hotels for fans traveling to Kiev to attend Euro 2012 on the spot of mass executions performed by Nazis during WWII. A document, called “The Layout of hotels in the city of Kiev for the period up to 2012”, has been approved by the city’s parliament and calls for a large hotel to be built at Baby Yar. Baby Yar is known as one of the main symbols of Holocaust. Over 100,000 Jews and people of other nationalities were murdered there from 1941 – 1943. The Jewish community of Kiev was the first to sound the alarm about the proposed hotel. 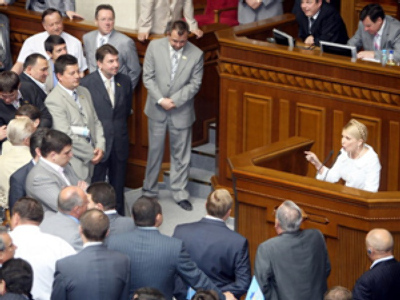 President of the All-Israel Congress of Ukraine, Vadim Rabinovich, demanded an answer from Kiev mayor Leonid Chernovetsky, who denied construction plans were scheduled at Baby Yar. ” The mayor assured me that the question of building a hotel on this historic and holy place has long been withdrawn. I can quote Leonid Chernovetsky as saying: "There will never be a hotel in Baby Yar," Vadim Rabinovich told MIGnews.com.ua. This, in fact, means that the new pleasure-dome will stand on the bones of Ukrainian and Russian soldiers and sailors from the Dnepropetrovsky Divison who were also executed there. The head of the commission for culture and tourism in the Kiev parliament said that the hotel, which will consist of 760 suites and will house 1267 guests, will keep the landmarks name – “Baby Yar”, which sounds like a blasphemy to many. 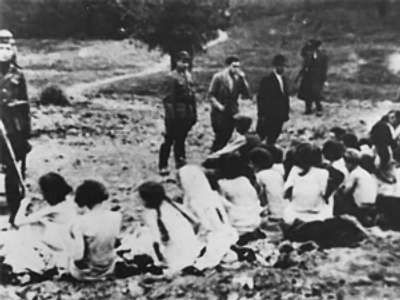 Israeli politicians also couldn’t ignore the issue as the deputy of the country’s parliament, Michael Ben Ari, sent a letter to the Ukrainian embassy warning that the “outrageous” decision to build a hotel at Baby Yar will be “regarded by us as a denial of the significance of the Holocaust to the Jewish people during World War II, with all consequences". About 50 years ago, back in Soviet times, there had been an attempt to build an amusement park with dance floors, roller coasters and so on at Baby Yar, but the construction ended in tragedy. In 1961, a dam collapse led to death of over 1.500 people. The European football governing body, UEFA, demands that Kiev build 28 four and three-star hotels for the European championship, which Ukraine is hosting along with Poland, but city authorities have found a serious lack of building locations. According to the proposed “Layout”, another hotel with restaurants, swimming pool, saunas and strip-bar is to be erected in Syretsky Park, which neighbors Baby Yar and used to be a Nazi concentration camp for soldiers and partisans during the war. And despite international condemnation, Ukrainian president Viktor Yushchenko hasn’t commented on the Baby Yar scandal. Baby Yar is a large ravine in the north of Kiev that used to be a deserted area between two suburbs. After Nazi troops occupied the Ukrainian capital in 1941, they used the area as a mass grave, making it the first stage of Holocaust massacres and butchery carried out by Nazi “mobile killing units”. First they killed all 752 patients of a psychiatric ward located near the ravine. Next came the city Jews – Nazi commanders posted notes stating that “after a sanitary inspection, all Jews and their children, as an elite nation, will be transferred to safe places”. On September 29, thousands of Kiev Jews and multiethnic families came to the designated point with their documents and valuables, all of them women, children and the elderly, as men were drafted to the army. In groups of 30-40, they were sent to small chambers, where they were stripped naked and pushed into the ravine to be killed by gunfire. The people in the queue could not hear the screams of the victims because of loud music from speakers and the noise of an airplane circling the field. In two days the Nazis killed over 33,000 people. The mass murders lasted till the day Nazi forces were driven out of Kiev in 1943. The official count gives the figure of 100,000 people killed, while historians vary in their estimates, putting the figures at from 70,000 to 200,000 victims of various nationalities, including thousands of Russians, Ukrainians and Gypsies. One of the slopes of Baby Yar also became a concentration camp where Communist Party members, prisoners of war and partisans were held. The count of victims in the camp is 25,000 people at least. With the approach of the Soviet army, the Nazis started to conceal the evidence of the mass murders. They dug out bodies, burned them, and ground the bones in machines specially delivered from Germany, forcing prisoners of war to do the dirty work. On September 29, 1943, the prisoners that operated the furnaces started a riot. Out of 329 people, 311 were killed. The eighteen survivors became the main witnesses to the Nazi crimes. Bloodlust or eagerness to learn? Kids raped in famous Ukrainian recreation camp?